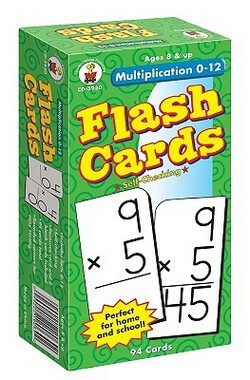 Multiplication flash cards are an essential tool for learning how to multiply. Our son is in third grade and we've been doing flashcards every night for probably the last three months or so. He's working his way through them one factor at a time and we're just about to finish up. He just has his 12's to learn and he'll be done. We couldn't have gotten through it without the help of flash cards. We picked up a set from the store and his understanding started to take off. Worksheets are good, but when it comes to multiplying, flash cards are a better resource. There are many things you can do with flash cards. Our son likes doing speed races where he and I face off against each other. We've also played a game where we take turns answering problems. If you answer correctly, you get to keep the card. Whoever has the most cards at the end wins. 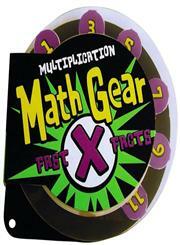 Another fun game is multiplication war. It's a lot like the standard card game War except you use flashcards. Deal out all of the cards and then each player flips up their top card. Whoever has the highest product wins that round. When all of the cards are gone, the player that collected the most cards wins. Products link to my affiliate's page. From there you can learn more about each item and purchase products. Don't forget to take advantage of my free worksheets and printables below.